Criminal, Personal, Family Law Attorney | Lake Mary, Sanford, FL | Feller Law, P.A. Call Feller Law, P.A. for legal help - We Service All Counties in Florida & Handle All Federal Matters! Real Lawyers for Real People! Your Future Is On the Line. Protect It. Feller Law, P.A. is a law firm based in Lake Mary, Florida. We offer legal assistance for criminal cases, family matters and personal injury cases. Our staff has over 20 years of collective legal experience, and we want to help you with your fight. No matter the seriousness of the case, you can trust our attorneys, researchers and analysts to provide you with uncompromising legal support and expert counsel. Call Feller Law, P.A. today for all of your legal needs, and more, in Lake Mary, Sanford and all throughout the State of Florida. From personal injury representation to drug crime defense, our Lake Mary legal team has done it all. Let us help you navigate this threatening and emotional situation. Contact Feller Law, P.A. today to find out how we can help. Don't go through this difficult experience alone. You should have an experienced legal team on your side to work toward the most favorable outcome. We provide free initial consultations over the phone and in our office. Call Feller Law, P.A. today and schedule a time to speak with one of our attorneys. King's words are a great way to explain my passion and dedication to the law, and more importantly, the individual seeking its aid. An avid scholar since a young age, I've continued to those ways in specializing in legal research and writing. It's a true thrill for me to find that golden case precedent or novel legal analysis to aid Feller Law in bring justice to its clients. "Do unto other as you would have them do unto you." That is the philosophy I live by as an attorney. I represent my clients, in their best interest, with zeal and compassion. I diligently pursue the best, fastest, and most beneficial results for my clients. At Feller Law, we continuously strive to set the standard for criminal defense, family, and personal injury law; knowing all people deserve the best representation they can afford under the law. 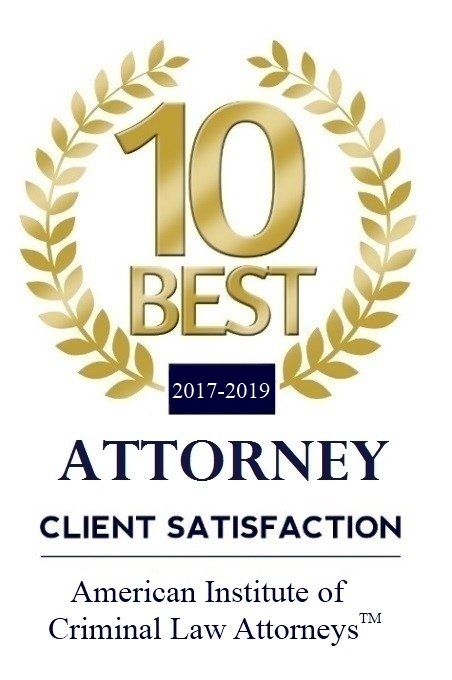 "Attorney Rose M. Feller not only provided me with uncanny legal advice, but also the kind of real-world applicable and realistic information that only a true master of his or her craft can experience and possess the knowledge of. Her ability to associate and relate to my legal case not only put me at ease on the legal aspect, but also greatly on the personal side as well. Attorney Feller's constant and careful attention to detail not only aided me in getting a favorable sentence, but also assurance personally that "everything will be ok now." Her presence in the courtroom not only put me at ease every time I had a case, but even the Judge, who seemed relieved that he was not dealing with some "low-rate" or "second-hand" attorney. The Judge knew he was dealing with a true professional who knew the legal system inside and out. Through Attorney Feller's action, both in and out of the courthouse, I was able to get my legal situation under control and eventually move on." "My meeting Rose M Feller Attorney was probably the single most defining decision of my life. After being told by several attorneys I had no case, or they wouldn't even take it, they said I was looking at a minimum sentence of 10 years to 20 years maximum. I decided my picking attorneys wasn't working, so I went back and asked the bail bonds company if they were facing my charges, who would they call. There was only one person they knew could fight the charges and her name was Rose M. Feller, Criminal Attorney at law. She worked the hardest I have ever seen anybody work. She had her team of very talented individuals uncover every possible objection and overcome it. To make a long story short, the judge said I was guilty of making a poor decision not a crime. Therefore, after 4 very long years not in jail, Ms. Feller's law firm has cleared my record and now I'm trying to resume a normal life. Rose has become my very best friend, and I would do anything for her. Just like me, you won't know when you will need someone's services like Rose's, so I would go ahead and set up a meeting with her as your friend or Attorney." We serve the metro Orlando area and counties of Orange, Lake, Osceola, Seminole, and Brevard.